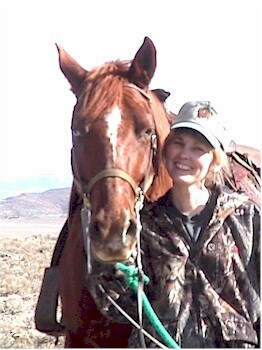 Terry Rhodes with her hunting mount, Big Red. I thought we were going to have to send Red home with her! Terry Rhodes of Charlotte, MI. 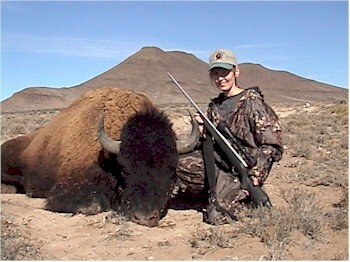 Terry was our FIRST huntress and we had a great time hunting this delicious meat bull. 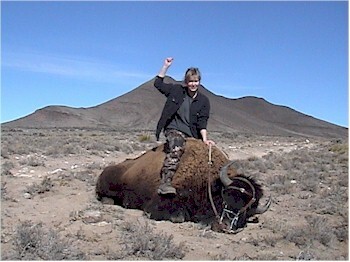 Terry Rhodes riding her bull!! Sometimes our photo sessions are just plain fun!